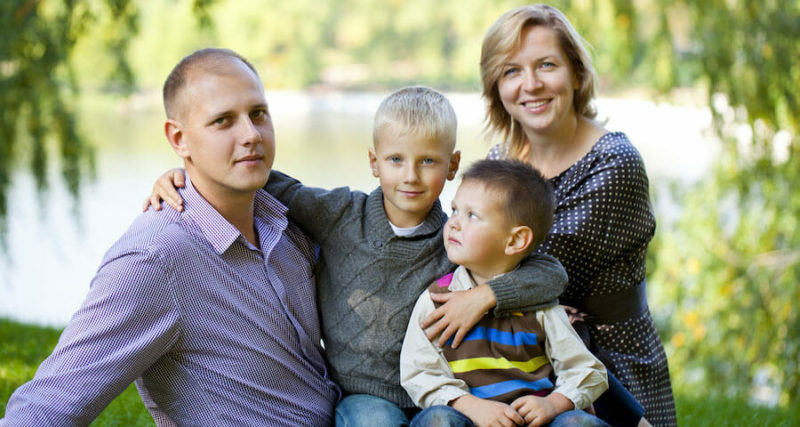 How Do Russians Value Family? Before you begin working your way to foreign language fluency, it helps to understand the culture behind the language you’re learning. After all, language exists to help a group of people express their ideas and beliefs. Russia is a vast country with a rich history and culture. As you begin your Russian language program, gaining a strong grasp on this history, the values, and the etiquette will help you rapidly achieve success. In particular, Russians have a great deal of respect for the family and its role as a foundation of their society. During Soviet times, both the husband and wife had to earn money to take care of the family these days, some wives do not have to work. This is a symbol of status if the family can live comfortably solely on the husband’s income. Families may have domestic servants, such as nannies and cleaners. Many of these domestics are former professionals, such as teachers and engineers. They often choose to work for well-off families because they earn more working for the wealthy than for the state. Russians’ relationships with children are rather strict while at the same time doting. Children are expected to do exactly what they are told with little choice. They are well taken care of, often overfed and overdressed. The children are observed with care. For instance, one might commonly hear on the playground “Don’t run–you’ll sweat and catch a cold.” You might witness a mother scolding her child one minute and not long after smothering her or him with affection. Although three-generation households are not so common now, it is still more likely that a family will care for their elderly rather than placing them in a nursing home. Surveys and public opinion polls are an integral part of everyday life in Russia. Reaction to changes in the economy, politics, and public life are monitored almost daily by private and state institutions, international foundations and non-government organizations. A survey conducted in St. Petersburg in 2005 invited the public to rate seven major life values. According to the poll results, the first three were family (at 67 percent), health (at 57 percent) and friends (at 37 percent). They were followed by an interesting job (at 34 percent), money (at 31 percent), social justice (at 29 percent) and faith (at 16 percent). Every sociologist knows that the results of a poll often depend on the way the questions are asked. Parents are very overprotective of their children. Many parents feel that even though their lives were hard, their kid’s lives don’t need to be difficult. Children are a constant source of pride. Russians are happy to spend money on their children. Many Russians invest their money in their kids’ schooling, travel and sports. “What is your father’s name?” asked the officer. “But you have just said that your father’s name is ‘Matthew,’” interrupted the officer. They were still talking an hour later. As mentioned earlier, Russian middle names are always patronymics derived from the father’s name, while Western middle names are not. Russians currently do not have accepted forms of address equivalent to Mr., Mrs., or Miss. In the days of the Soviet Union, Russians used the unisex “товарищ” (comrade). It is now obsolete and often marks the speaker as an older person from the Soviet era. Before the Russian Revolution, Russians used Господин (Mr.) and Госпожа (Mrs.). While these are sometimes used in business settings, they are still not generally accepted elsewhere. At the time of the collapse of the Soviet system, when most retirees lost their savings, those who had extended family relied on them for financial support. Those who did not have family members to help them could be seen begging or selling cigarettes and newspapers in the street. There is a strong tradition of duty and respect for the elderly. Every year, on May 9, Victory Day or “ДеньПобеды,” the war veteran’s parade through the streets and talk to children at schools. The Soviet tradition of celebrating the role of the veterans, publicly acknowledging their bravery and wisdom, is still kept today, although with the passage of time it becomes harder to find veterans for those meetings. With the dramatic difference in life expectancy between men (fifty-eight) and women (seventy-three), it is not surprising that attitudes to older people means primarily the attitude to “бабушка” or granny. There is a typical image of the “granny council” gathering on the benches outside their apartments and village houses to gossip and comment on everybody walking by them. These granny councils are a Russian take on “neighborhood watch.” As every passerby is scrutinized and discussed, it can be a great deterrent for robbers. One of many contradictions of Russian society is that although their seniors are respected in the family hierarchy, and “бабушка” is often the one who brings up the grandchildren and is considered the hearth keeper, the generation gap between the post- Soviet generation and the granny, who was brought up in the rigidity of the Soviet system, is enormous. Russians greatly value personal relationships to the extent that they will often not say “нет” (“no”) to a request even if they can’t fulfill it. They simply don’t want to upset the person making the request. Consequently, they often don’t deliver on what they have promised, and they also forget to respond to messages or return calls. Given this fact, you shouldn’t assume anything or get upset. Just call the person and remind them of the agreement in a way that doesn’t humiliate them. In some cases, a Russian might promise to do something even if they don’t have the authority to fulfill that promise. Make very certain that if you ask a Russian to do something that they have sufficient status within their company to do it. In other words, research the company and the status of the people there. Again, don’t expect junior or middle managers to help you even if they claim they can. Try to get a commitment in writing if possible. Many Russians will be reluctant to do so, given their uncertainty of their ability to keep a given promise, but you should still try to get a written commitment. Few things are as beautiful as a ceremony or event that adheres to the traditions passed down through generations. Such is the case with Russian wedding receptions. The ceremony begins with the wedding party laying down flowers at a chosen monument within the city. This comes from an old custom of visiting a “holy place” after the wedding but before the reception. While holy shrines have since been replaced by more political monuments, such as a statue of Lenin and The Unknown Soldier monument, the sentiment is still the same. While some parts of the past have been lost, newlyweds still find much to appreciate in present day Russia. In Moscow, for instance, couples arrange their wedding receptions to take place at historical sites, many of them offering panoramic views of the city. Sites such as КраснаяПлощадь (Red Square) and ВоробьёвыГоры (the Vorobyevy Gory hills) by Moscow University are the top choices for celebrating a happy union. Music plays to set the mood, as the wedding party indulges in champagne and poses for photographs to mark the event. The reception is overseen by the toastmaster, or “тамада.” He invites guests to speak about the couple or sing songs for the occasion, but he also offers his own toasts, shares jokes, and recites meaningful poems. In Russian culture, the success of the wedding reception is often judged by how entertaining the toastmaster has been in giving his performances. With the baby growing within, Irina knew she had to eat. She also knew that breakfast is the most important meal of the day, and it could help energize her body for the busy day ahead. Different kinds of “каша”(hot porridge)are very popular, especially “гречка”or “гречневаякаша” (a type of buckwheat porridge) and “маннаякаша” (semolina porridge), which is a common breakfast for children. Other fare you may find on the breakfast menu consists of a cheese sandwich, crepes, sausages or an omelet. Soup (“cуп”) is a must, especially during the lunch hours. But if it’s difficult to eat while at school or at the office, you’ll find it served during dinner. When soup is served at the evening meal, it’s always as the precursor to dinner. More substantial food will typically follow afterward. Upon entering the household after school, you may find the greeting, “come eat something,” used to welcome returning children from school, visiting grandparents or husbands coming home after work. Once inside the dwelling, the family can then gather around the table and enjoy the meal that has been set before them.